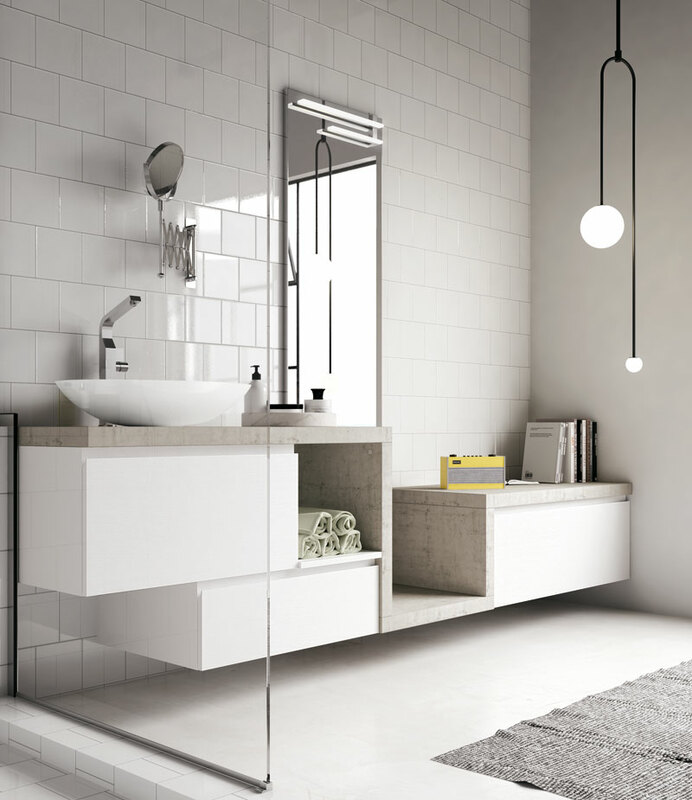 Bathroom units are set at different levels, playing with different geometries to create new spaces. This concept results in a handy open shelf for storing those frequently used items. 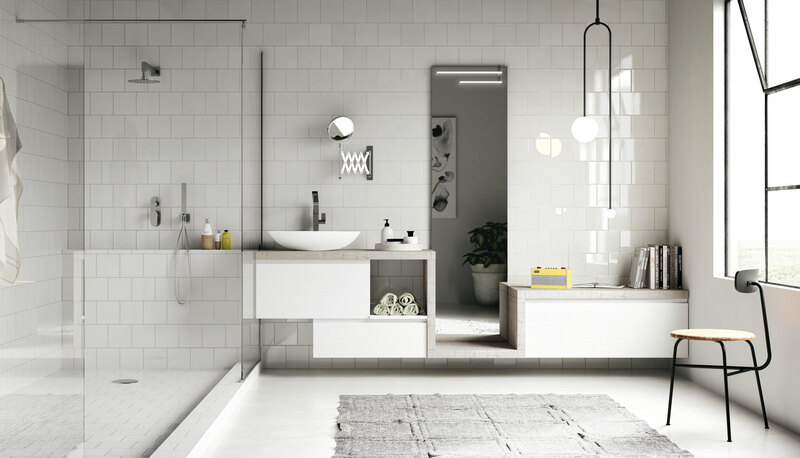 Dominated centrally by a full-size mirror, the ensemble makes an impressive statement in the room with its soaring lines. 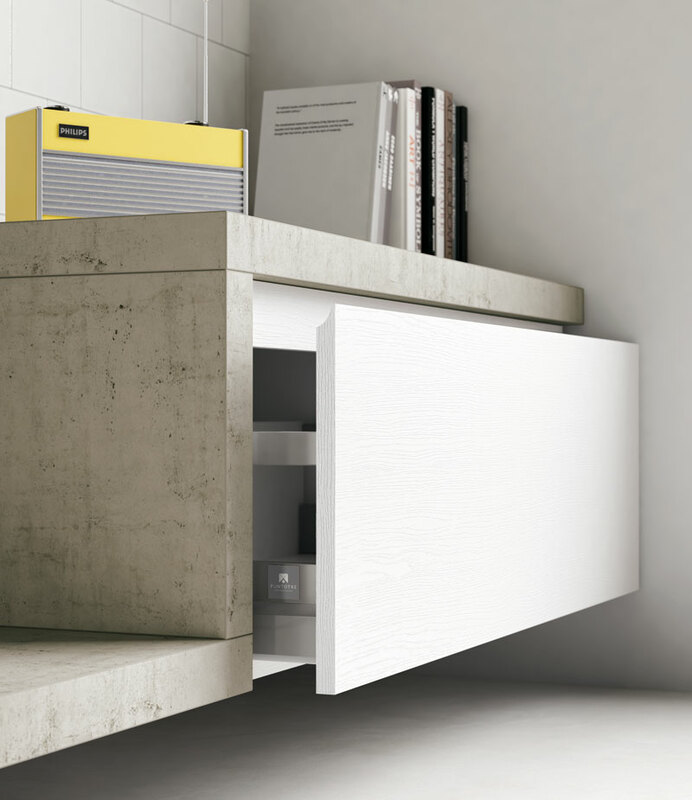 The top, which runs along all the base units, is made from a heavy-duty laminate with 5cm-thick edge.